Day +121: Yesterday Kiira had IVIG to replace IgG, an antibody. It was a nightmare trying to get an IV in her. We tried 5 sites with multiple pokes at each one and I had to unwrap both hands to try the backs of her hands. She is so strong that we had 3 of us holding her down, 1 doing the IV and 1 distracting her but she just screamed for the hour that it took us to get the IV in. I don’t regret taking out the central line, but it certainly made things like this easier! Once we got the IV in, Kiira calmed down but cried every time she tried to lay on or use her arm. I was able to bring her pack n play so she took a little nap. The infusion itself only took about 3 hours instead of 8 like last time, but when we were done, we realized her arm was swollen, so the IV did pull out of the vein. That’s what happens when you can’t use tape on EB skin. 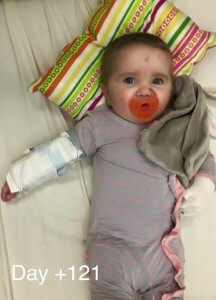 Apparently the IgG can still get into her system subcutaneously, so it’s not too big of a deal, but her arm was sore until the swelling went down. Other than the IV issues, the infusion went well. I also met with a GI doctor and nutritionist. They are on board with reducing Kiira’s calories because her growth curve jumped so high, but her weight to height ratio is low (basically she weighs too much for her height). It’s a good problem to have when it comes to EB though. In addition, they support blended food diets (blending real foods like meat, veggies, etc) rather than just giving her formula and eventually Pediasure, so I’m happy to have their support and guidance. Kiira is eating more by mouth, but not nearly enough to sustain her, so I’m very grateful for the g-tube. Today Kiira is still doing great. 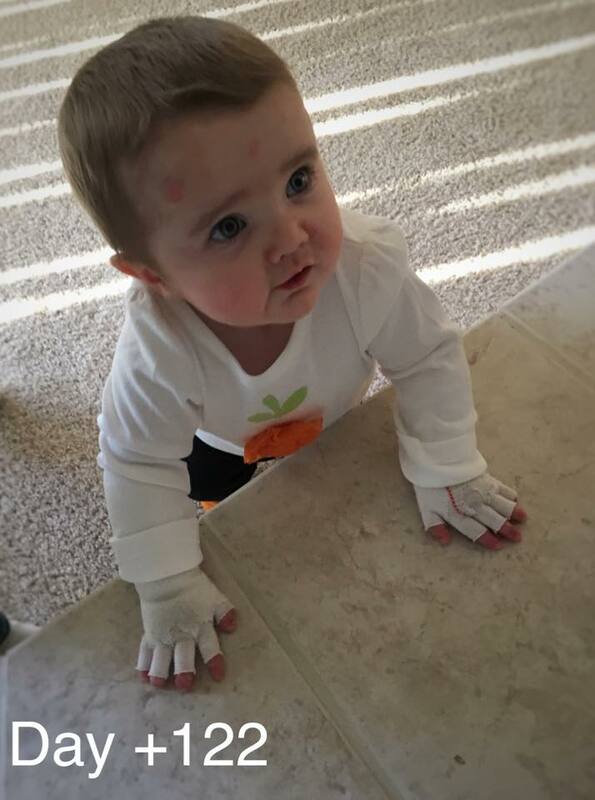 Her arm swelling is gone and she was her normal, happy self, except when I did bandages. She is really showing her strength to fight me, but I was so relieved to find no injuries from yesterday when we held her down for the IV. She won’t be trick-or-treating tomorrow night, or even dressing up, but Kiira gets a kick out of her sisters’ superhero costumes. Hopefully next year she can participate. Thank you for your continued prayers. We really appreciate the support! Understanding EB is not easy. 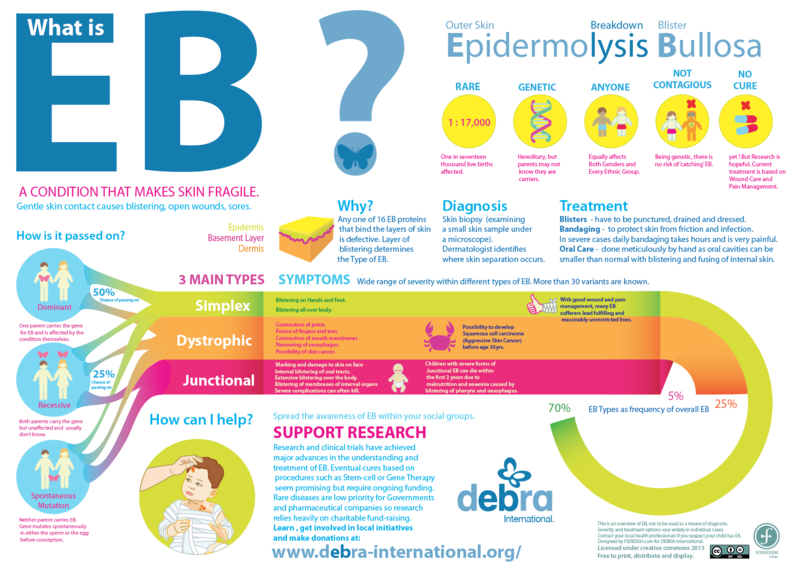 There are 3 subtypes and Kiira has one called Recessive Dystrophic Epidermolysis Bullosa. Since it’s a recessive gene, as parents, we each carry one gene, but have no symptoms ourselves. Kiira’s sisters are unaffected, but could be carriers. Within RDEB, there are over 500 mutations alone. The combinations are complicated and make every EB patient present differently. Kiira’s 2 mutations have been reported in one other person in the 90s and was classified severe. 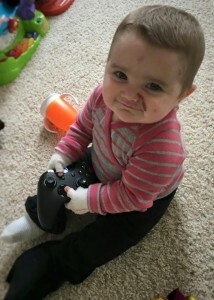 However, there are modifier genes that can make Kiira’s skin stronger or weaker and based on her current condition, in combination with the bone marrow transplant, we hope she is less severe. We really won’t know and trying to predict the future is impossible. 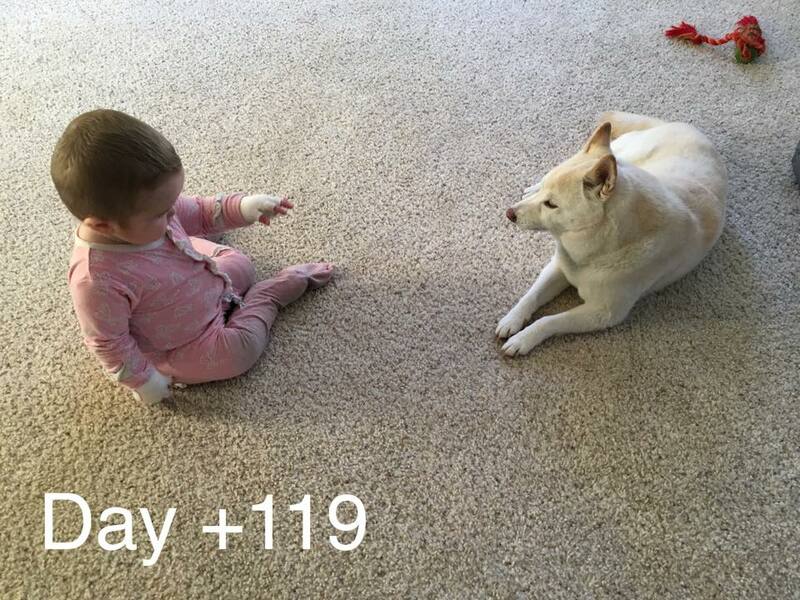 We take one day at a time. Some days are great. We celebrate a day like today where Kiira had no blisters to pop. Some days are hard. Some days I’m sad or angry, but I keep holding onto my faith that God has a plan for all this. 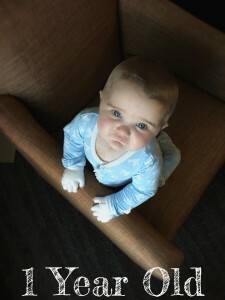 I wouldn’t wish EB on anyone, but I do wish everyone knew of EB and could donate an hour of time, a $1 to research for a cure and/or making lives easier, or a bandage to families who need them, or prayers that God will provide families with strength and comfort and doctors with the knowledge and resources to come up with a cure. The last week of October is dedicated to bring awareness about EB. There is so much to know, so much we’ve learned, and I’ll try to share some of those things during this week. After 7 days of driving and staying in a hotel, we made it to our new home to find a freshly cleaned house, a welcome package from a sweet family in our bible study group, and friends and family ready to help us unload. We love our new home and are busy unpacking and settling in. Unfortunately our TV cracked in the move, but we all got here in one piece, thankfully! 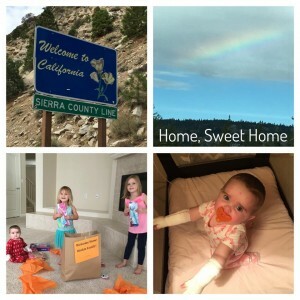 The girls were so excited to be back and explored the entire house, and they scattered their toys in each room faster than we could put things away. 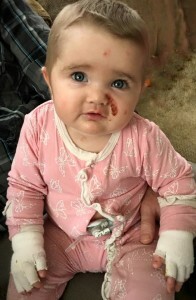 It’s so hot here, so poor Kiira already has a face rash and we have to figure out a way to keep her cool with all the bandages and long sleeved footies. I wish her skin was tough enough to crawl in a onsie, but it’s just not. At least winter is around the corner, maybe. It was so great to see familiar faces and we look forward to seeing more over the coming week. Kiira goes in for labs on Monday and has her first doctor appointment on Tuesday. Our journey in Minnesota feels surreal, already like a distant memory. We don’t know what the next season in life holds for us, but for now we are just enjoying being home. Day +100: This day is so significant in the BMT world. It marks the earliest possible day you can go home and we got the final word that Kiira can go home! With that said, we are wasting no time and packing like maniacs to leave tomorrow. We can no longer take our scenic southern route, because Kiira needs to be back home to see a doctor as soon as we get back in town. We did not get the engraftment numbers back yet (tells us how much is her cells vs the donor’s), but we know she has a very good T-cell count and no B cells because of the medication she took to get rid of the Epstein-Barr Virus. It will take around 6 months for those cells to return. Both T and B cells are a vital part of your immune system, so we still have to keep Kiira safe from germs. 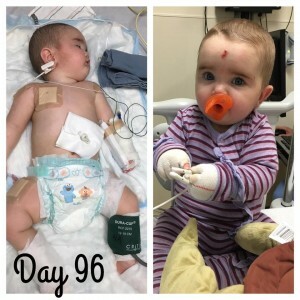 Though our journey here is done, at home she will still go in for weekly labs and doctor visits and she will be on an immunosuppressant that will keep us from taking her to gatherings with kids and large crowds, including things like church and even big family gatherings at holidays. While that is disheartening, Kiira’s health, especially in the midst of flu season (flu has a high risk of death in immunocompromised people), is of utmost importance to us and we are so beyond blessed to be able to go home at day 100. We will come back to Minnesota for a week in early January to do another biopsy and round of tests. We can’t say enough good things about the doctors and nurses at the University of Minnesota Children’s Hospital. They took care of Kiira like she was their own and we are so happy we came here to get her treated. We continue to pray that her donor cells are growing and improving her skin every day! Day +96: Just to update everyone, Kiira is back home and sleeping after a long day at the hospital. The procedures all went well. She has another 5 holes on her leg where they took the biopsy, but it is close enough to her previous biopsy site that she will only have one set of scars. They tried to do the endoscopy through her gtube site, but the hole had healed up around the tube too well and they couldn’t fit the scope through so they went in through her mouth, which is a little scarier due to the possibility of damaging her airway. 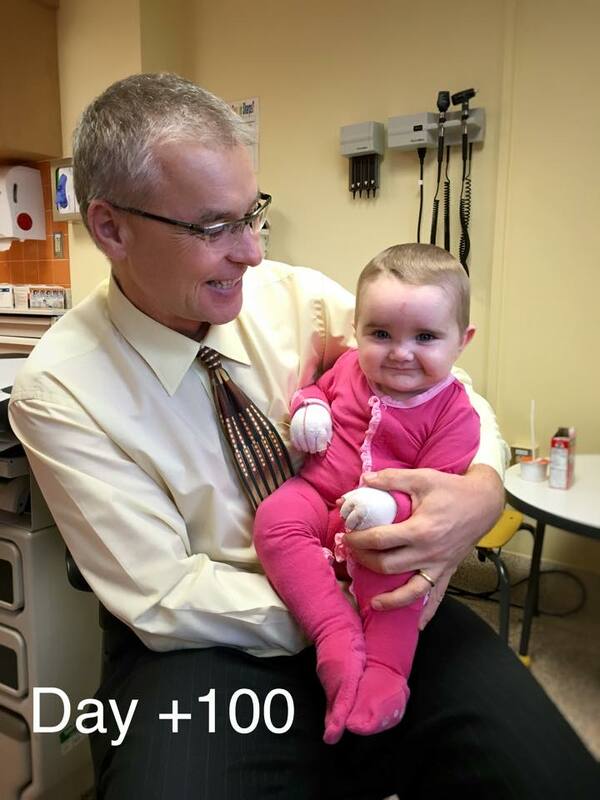 Everything went great though–there were no strictures and the inflammation that they saw in her initial scope is gone too! In preparation for her 6 month visit we will have to get her fitted with a bigger gtube, but I think that is a pretty simple procedure. The central line was removed without any issues and it is already so nice not to have those ports dangling from her chest. We’re hoping to get the engraftment results during Kiira’s final clinic appointment on Friday. Praying for high numbers meaning no boosts!